Elegant, American-made Prebuilt Saunas and Precut Sauna Kits, for home or public use, custom made to your specifications for the same cost as a mass produced sauna. We use only the highest quality materials, and offer quick factory direct delivery and an incredible variety of door, window and other options. "...You never fail to answer me promptly, clearly, and completely. As I just said to my wife, we certainly bought our sauna kit at the right place. We have used the sauna five evenings in a row now, and will probably continue it on a daily basis. Our skin is softer and cleaner (and not as dry) than ever, our spirits are renewed, we have energy at night for reading and love-making without feeling tired or groggy, and we sleep much better. We feel reborn." We are now also offering Harvia sauna heaters. We offer multiple models and styles including the KIP, Top Class, Compact, Forte and Club. We offer the premier line of Sauna Heaters from Tylo of Sweden either with or without our saunas at wholesale prices. With features like cast stainless construction for added durability and a multi stage thermostat and patented double side vents for added efficiency and the best performance, no one makes a better sauna heater than Tylo. That's why they are all we've sold for nearly 30 years! With Tylo from Almost Heaven, you get a superior heater for the same or less than a much lesser brand. Almost Heaven sells Tylo Steamrooms. From their unique Tylette series personal steamrooms for one or two persons (the Centre is pictured to the left), to their larger Elysee (pictured above left) and Excellent (pictured above right) model steamrooms for either residential or public use, Tylo has a solution for every need. The Tylette steamrooms are available with an exciting array of standard features, such as invigorating water massage, tropical rain and waterfall showers and recessed lighting. Almost Heaven offers these steamrooms at the lowest prices in North America. They are not to be confused with the cheap imitations coming from China. Almost Heaven also sells and supports Mr. Steam, Amerec and Tylo Steam Generators at the lowest wholesale to the public prices, available for any size and type of steamroom, from the smallest residential applications for home use to the largest public facilities. Almost Heaven sells Wooden Hot Tub tanks packaged with superior custom systems of our own design, featuring the highest quality supporting equipment. We also supply all manner of equipment and accessories, as well as design guidance and support for someone contemplating a homemade hot tub, and especially those made of masonry. "Being a resident of the UK, we were initially a little nervous about making such a big purchase from overseas, but after talking to Art my mind was put at rest. He knew his products inside out, and was more than happy to reassuringly answer my seemingly endless stream of questions. Thanks to Art and his company Almost Heaven hot tubs, our self build project was a success. I have even built a website as a diary of our hot tub adventure. Paul Maunders - Aldershot, Hampshire, U.K. Almost Heaven also sells Hydro Spa and Premium Leisure brand Acrylic Spas from one of the world's leading manufacturers, with over 30 years experience and over 10,000 spas sold yearly - spas with unequalled features for any space or budget. Whether you choose a wooden hot tub or an acrylic spa, Almost Heaven has all the pool and spa equipment you'll need. We have access to just about every replacement part or piece of equipment for spas, hot tubs and saunas, including pumps, filters, heaters, chlorine eliminating ionizers, jets, liners, blowers, completely custom made vinyl covers, switches, fittings, etc. If you're looking for parts or support for your old Almost Heaven, Ltd. product, this is the place. 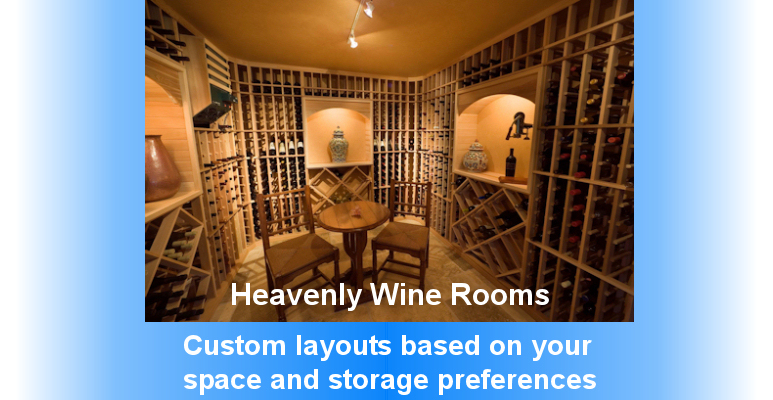 If you're looking for the perfect solution to store and display your wine collection, a Heavenly Wine Room is perfect for you. All wooden wine room pieces are constructed from the same Grade A Select Western Red Cedar as our saunas. 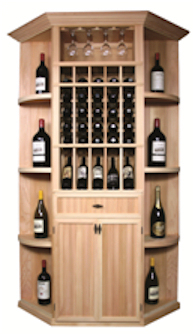 Whether you have a small room or closet that you'd like to convert to a wine room, prefer a free-standing modular Wine Locker model, or would simply like some furniture grade racking or a Wine Armoire (pictured to the left) to compliment your home decor, we have exactly what you're seeking. This website and the products and/or services hereon are not affiliated in any way with GPM Industries a/k/a Great Lakes Home & Resort or Almost Heaven Saunas®.